Free online calendar from Incompetech is very useful kit if you want to create calendars but you don’t have the program in your PC. But of course you must be connected to the internet. The creating methods are very easy. You don’t have to be an expert to create calendars with this tool. Step 1. Open the website. All you have to do is open the incompetech website at www.incompetech.com. When I choose to buy this mobile phone, my main concerns are the 3G, Bluetooth, Music and Camera features. But, Nokia Express Music 5320 comes with some other features like Radio, Recorder, Video, 2 Camera (front & back), Nokia Map, GPS data (need external GPS), Message Reader, Real Player, Quick Office, Adobe Reader, N-gage games, FLV (flash video) ready and few other more. The good thing of FLV ready is you can copy and run clips from Youtube directly without convert anything. Unfortunately you can not slower or faster the video clip. Another good thing from it for music is the ‘plug connection‘. You can use the standard head phone connector. The original head phone from Nokia does not provide a good bass sound so I change with good quality head phone when I want to hear music, which is much much better. Below is the picture of the mobile phone. You can have it with Red or Blue color. In these links below, I will share with you how it works with Ubuntu. 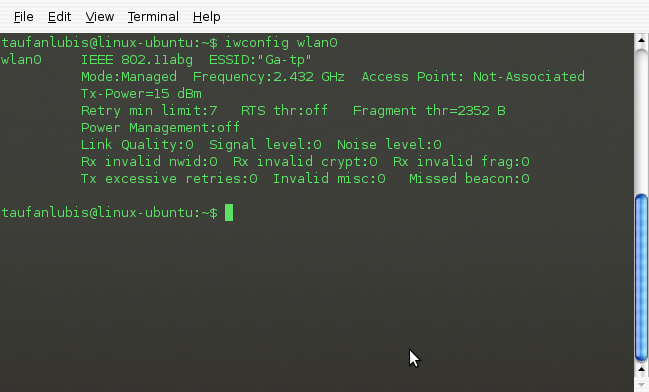 Open your Linux Terminal (Applications > Accessories > Terminal) then type ‘lsusb‘ and press ‘Enter‘ to check if your USB bluetooth is recognized or not by Ubuntu. After that, type ‘sudo hciconfig hci0 up‘ and press ‘Enter‘ to turn on your bluetooth device. You can check the result using ‘hciconfig hci0‘. In this article, I will show you how to connect to the internet with Nokia 5320 express and CA-101 cable data. Plug in the cable data. Memory store may be corrupted if data transfer is ongoing”. Transfer files with Nokia Express Music 5320 is very easy. Just connect the CA-101 to your Nokia 5320 then plug into your Ubuntu. From Nokia Express 5320 menu , select ‘Mass Storage‘. In few seconds, it will be recognized as a USB storage. You can create any directories that you want. I suggest to create based on category so it will easier for you to browse your files in the future. Go to directory in your PC and select files that you want to copy. Sending files via bluetooth from your PC to Nokia Express is not difficult using gnome-obex-send. As long as your bluetooth device is recognized by Ubuntu then it can be done. I use regular cheap USB bluetooth. The brand is ‘Le Taec’, made in Taiwan. Before we start, don’t forget to turn on your Nokia Bluetooth. Step 1. Configure your bluetooth device. Open your Linux Terminal (Applications > Accessories > Terminal). – Type ‘sudo hciconfig -a hci0 up’ to turn on your bluetooth device. – Type ‘hciconfig -a hci0‘ to check the USB status. – Type ‘hcitool scan‘ to search the available device around. As you see at the screen below, I found a device named ‘Ida’. The information that we need is the id code. – Copy the id code by select the code using your mouse cursor, press right mouse button then select ‘copy’ menu.